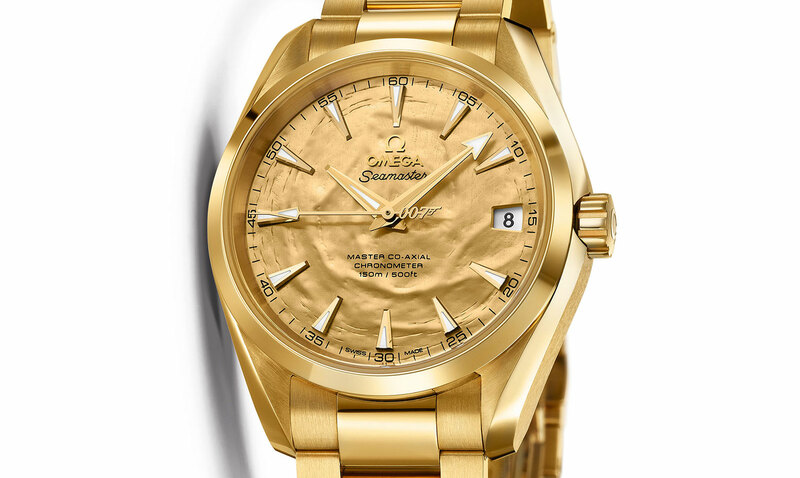 To mark the 50th anniversary of the James Bond film Goldfinger, Omega created a unique Seamaster Aqua Terra in yellow gold which sold for 70,000 pounds sterling, all of which went to British charity NSPCC. 50 years ago Goldfinger was released, becoming one of the most memorable in the James Bond series. 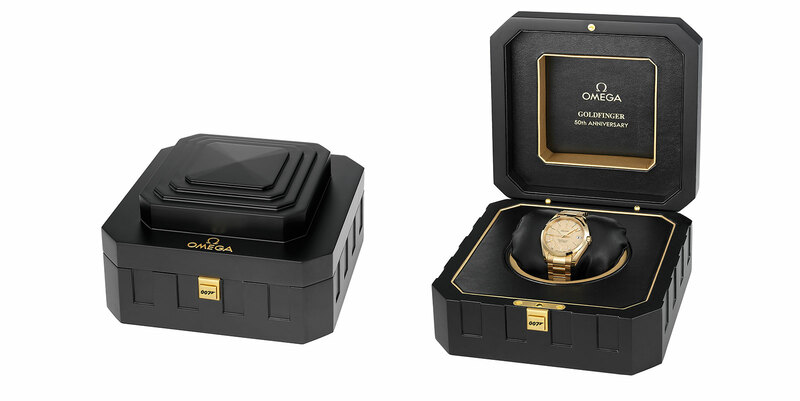 To mark the anniversary Christie’s and film studio Eon Productions held an online-only sale of objects created for the occasion on 17 September , including a one-of-a-kind Omega Seamaster Aqua Terra made almost entirely of 18k yellow gold. All the major components of this unique Aqua Terra are made of 18k yellow gold, namely the case, dial, hands, rotor and balance bridge. The unusual texture of the dial is meant to evoke a flattened bullet. And the Goldfinger Aquaterra was sold in a presentation box shaped like Fort Knox, the target of an audacious heist in the film. 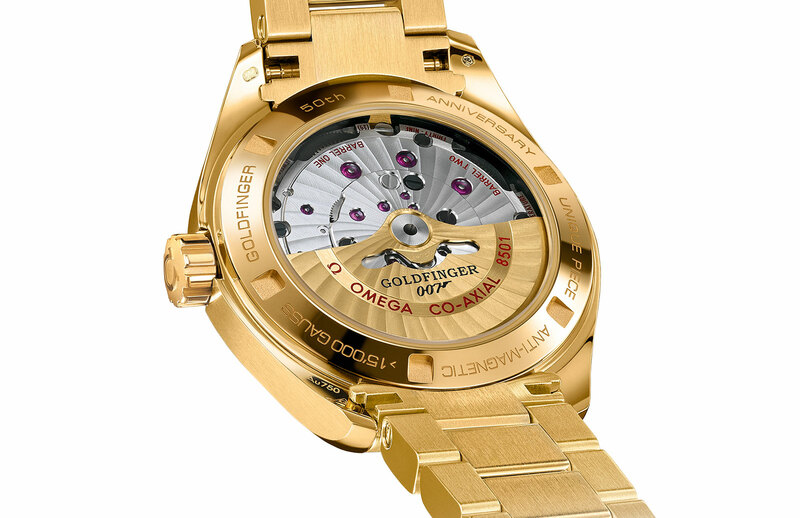 Like all recent Omega Co-Axial watches, the Goldfinger watch is equipped with the calibre 8501 Master Co-Axial movement, which has a magnetism-resistance of over 15,000 Gauss, equivalent to the fields generated by some MRI machines. Although James Bond, then played by Sean Connery, wore a Rolex Submariner in Goldfinger, and so did subsequent Bonds, Omega became the spy’s watch supplier starting in 1995 with Pierce Brosnan. Other objects in the sale included a 1/3 scale model of the Aston Martin DB5 used in the film – entirely plated in 24k gold. The scale model includes all of the gadgets in the film prop, including a retractable bulletproof screen and rotating license plate. 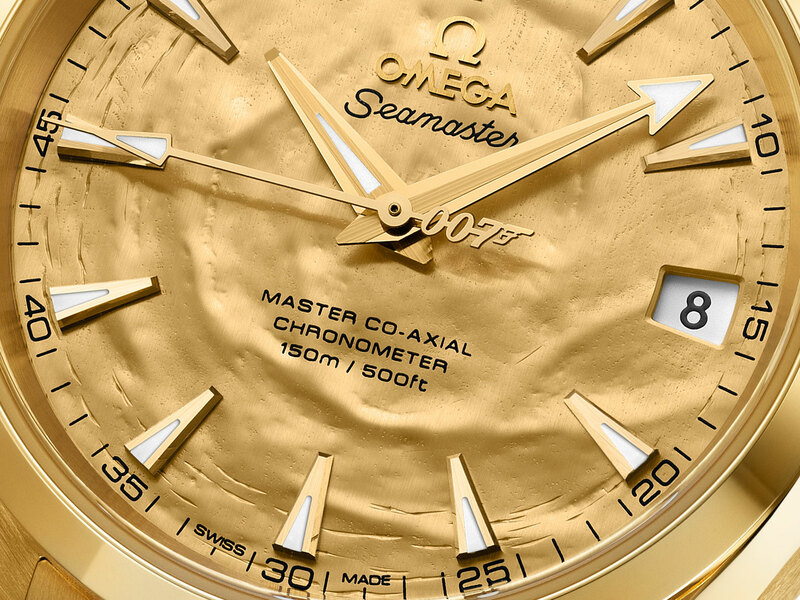 The Goldfinger Seamaster Aquaterra sold for 70,000 pounds sterling, or about US$114,000, bringing the total raised at the Goldfinger auction to 169,750 pounds. All proceeds went to National Society for the Prevention of Cruelty to Children in the United Kingdom.